Discussion in 'Miscellaneous Debris Classifieds' started by fesser, Apr 13, 2019 at 11:16 PM. I bought this mess because I wanted the 10' Alaskan camper that someone thought would fit the Suburban good if they sawzalled it all to heck. If someone on here wants it for the parts, I would definitely come down on the price. The engine may be high mileage, can't say, but it fires up and sounds okay. I think we need to see pics of the Alaskan camper. I'm glad the odometer reads 200K, because at 400 you're too close to me. Not that I need any of that mess. And a 10' Alaskan Camper? Cabover?..........I'm a big fan of those......had a few back in the day........but only the 8 ft model..If you remember the Alaskan dealer for years was right off the freeway in Cordelia...........my Grandson would love to see all your stuff! The Suburban is 200 to any ECJ5er. I might throw some pictures of the camper in off topics after I clean it all out. It is rough, and is currently pretty disgusting inside, but the price was right. Not worth the effort. Although I have toyed with the idea of seeing how much more I could cut off and still have it be driveable. My plan is to get one of the 8's and the 10 fixed up or restored. 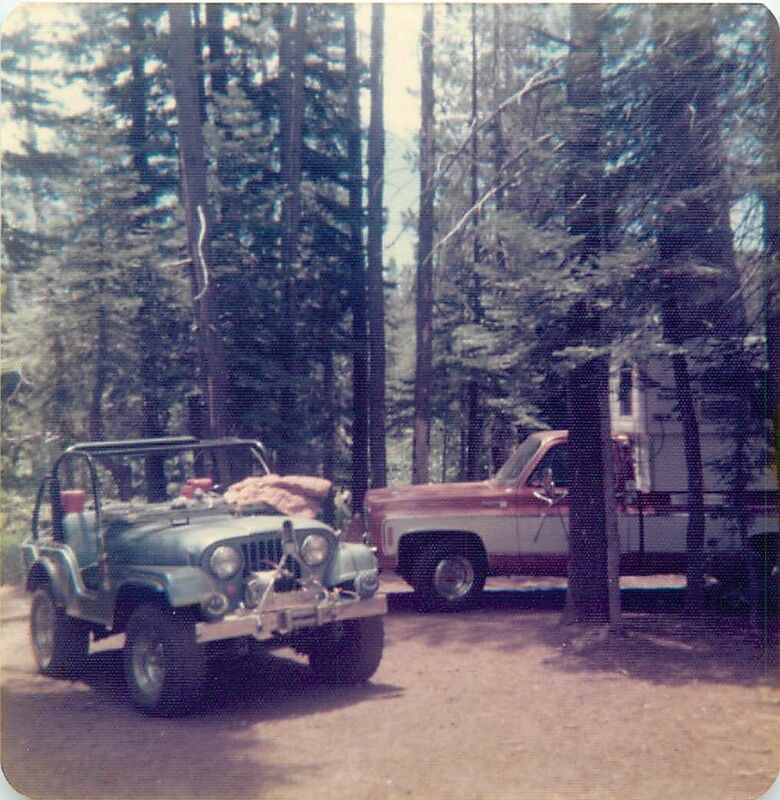 Here is a Pic of one of my Alaskan Campers ..........Deer Hunting somewhere , I bought that truck new the day after Christmas 1975 so after that point.........Love the Nostalgia! Yep.........your right , I always liked it.........good for two people.........unfortunately where I lived was short of storage.....so it went in favor of a conventional Non- Alaskan ( although I looked ) Cab-over Camper....it was fun while it lasted. Out of all the useful advice on here, that is the closest to what might actually happen. Pull the doors, pull the broken windshield, remove 1500 lbs of tweeker trash out of it, tow it up to the deer club, and leave the keys in it. Let whoever wants to take it for a spin.